There are a variety of investment plans available, such as Public Provident Funds, mutual funds, stocks, bonds, real estate, equity shares, gold, fixed deposits, recurring deposits, etc. Some of the more popular ones among the public include life insurance plans, PPF, and more recently, mutual funds. Investing money wisely helps you plan a secure future, with a tidy sum set aside to weather any financial storms you might face. But, the key word here is – wisely. People are often confused as to which are the best investment plans and which are not suitable for them. They are also confused about which plans are suitable for short-term investments, and which for the long term. 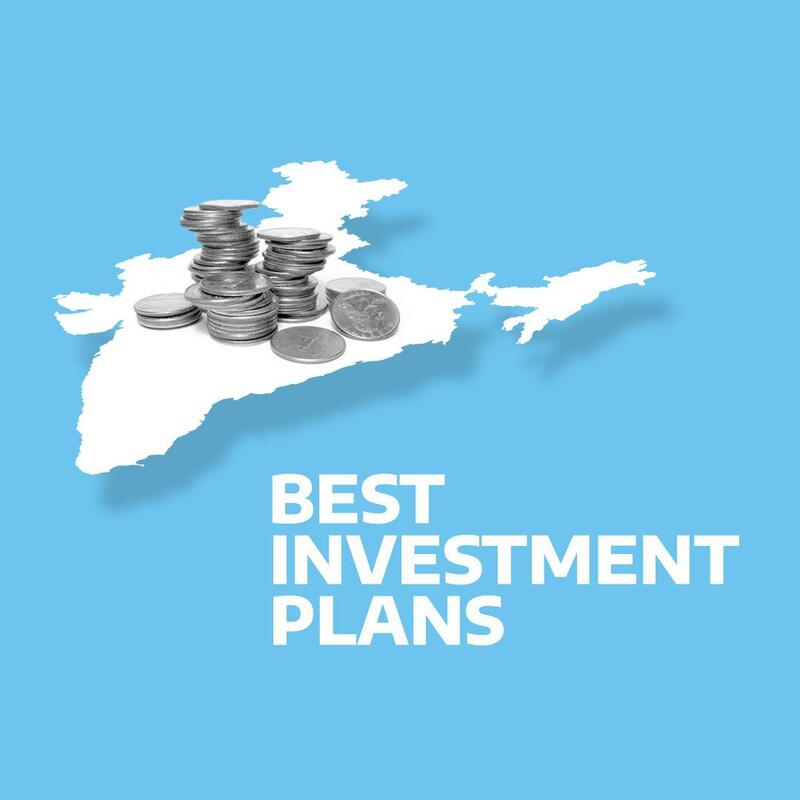 To help you make these decisions, we take a look at the best investment plans available in India, starting with the reasons why you should invest and the things you need to be aware of before investing your hard-earned money. Let us now examine each of these in more detail. The PPF is a tax-free, extremely safe option for long-term investment. Under public provident fund plans, money can be stored in a bank/post-office account for a minimum duration of 15 years. Compound interest is calculated on this amount and added to the principal. The duration of investment can be extended for another 5 years beyond the primary 15 years of investment. The current rate of interest (FY 2018-19) for the PPF is 7.60%. Mutual funds investment is one of the best options for a balanced risk versus return investment. Safer than stock market investment but still dynamic enough to earn a strong rate of interest through the years, mutual funds are one of the best investment plans among the current generation. Systematic investment plan, diversified portfolio, and efficient portfolio management are three primary principles of mutual funds investment. Some of the top mutual fund investment plans popular in India in 2018 are HDFC Mid-Cap Opportunities Fund, ICICI Prudential Technology Fund, SBI Banking, and Financial Services Fund, L&T Infrastructure Fund, Aditya Birla Sun Life Frontline Equity Fund, etc. Equity shares or direct stock market investment is a somewhat riskier option, involving a strong knowledge of the market and a higher risk appetite. The best investment plans for equity shares offer greater returns over long-term investment, rather than short-term plans. However, short-term switching of equity shares can be fraught with risk. Real estate is a tried and tested method of investment, currently growing at a strong rate in India. There are two advantages of real estate investment – you can invest in different types of properties, such as land, commercial, residential, retail, etc., and the risk of investment is low. The housing sector is a perennial sector and offers a break-even profit margin, even when the market is at its lowest. Gold ETFs are by far the most unambiguous avenues of investment. Indians have a special affinity towards gold investments and since the value of gold remains nearly consistent, apart from a few fluctuations, it is a safe option for investment. ETFs eliminate the chances of impurities or adulteration and offer better liquidity than traditional gold investment. Company FDs have a higher rate of interest as compared to bank FDs. However, they are not under the control of the Reserve Bank of India, nor under any life insurance scheme. Hence, the risk involved is greater as well. Company FDs have varying investment durations, but unlike bank FDs, money cannot be withdrawn before the date of maturity. ULIPs invest in debt and equity markets. Similar to mutual fund investments, the best investment plans in ULIPs offer portfolio diversification between stocks/bonds and life insurance cover. Part of the money is invested in stocks/bonds, the other is used for covering life insurance. RBI bonds start at INR 100 and have an interest rate of 7.75% per annum. The minimum duration of investment is 7 years. These bonds require a Demat account and are credited to the BLA (Bond Ledger Account) of the investor. Apart from these options, there are a number of other best investment plans that can be availed of by investors. These include bank fixed deposits, the National Pension System, Senior Citizens’ Savings Scheme, post-office saving schemes, etc. Given the various options available for investment, the natural question is, how do you choose which investment plan is best for you. Read on to know how you can determine that. How to Choose the Best Investment Plan? – How much time and effort are you willing and able to commit to managing your investment? – To what extent are you knowledgeable about the turnings of the market and how comfortable are you taking executive decisions with/without the help of a financial advisor? – How do you plan to monitor and manage your portfolio? For those investors who have in-depth knowledge about the working of the market and want to play an active role in managing their investment, stocks and bonds can be a good option. These investors have a stronger risk appetite and are ready to take some chances, based on their study of the market. Mutual funds are the middle man’s choice, where you can take some financial guidance from advisors (regular mutual funds) or manage your portfolio on your own (direct mutual funds). Mutual funds have a diverse range of risk options and companies to choose from, based on your temperament and risk aptitude. Bank fixed deposits and post-office savings schemes are by far the most conservative option for investment, provided you choose a bank that is stable. They have a relatively lower rate of interest, but your money stays secure over a long duration and you do not have to look into the investment once it is done. Why Do People Invest Money? Investing helps you create newer opportunities for increasing your finances in a legal and ethical manner. People often perceive investments as risky options, where the chances of losing money are equal to those of earning it. This is far from the truth. While there are certain investments where investing money can be risky, on the whole, investments made wisely always pay rich dividends in the long term. – The desire to create wealth gradually over the years, apart from everyday earnings, is one of the driving factors for people making investments. – Plans for the future, including marriage, children, education, and retirement, make people evaluate their financial standing and estimate their situation in the future. The various needs visible on the horizon stimulate them to invest a significant chunk of their money, that will provide for the future. – The best investment plans always offer higher returns on capital investment, provided a suitable plan is chosen. These returns are far greater than what the capital would make lying stagnant. Hence, people are drawn to making investments. – Every person sets financial goals for themselves. The recent trends, such as changing lifestyles, early retirements, desire for greater expendable income have made people think seriously about investing their money. The current generation is more geared towards becoming financially independent, so they can pursue their hobbies and maintain their way of living simultaneously. With the increasing influence of Western modes of living, a luxury lifestyle is becoming a must, not simply a choice. All of this requires money and investment plans are the best options for earning the same. – The startup fever has gripped the entire world and India is no exception. In the technological age, startups are mushrooming all over the country, in various sectors. Since not all these startups can get seed funding or attract angel investors right from the beginning, investment plans become a way to earn enough capital to fund their own startups. – Investment plans not only help create money in the future, but they are also useful in saving money in the current times as well. The best investment plans are instrumental in reducing your taxable income, which makes them a very attractive option. Considering these and many other reasons why people invest money, it is worth understanding a few important aspects of investment before jumping into the field. As we’ve mentioned before, the best investment plans always offer higher returns than the initial capital investment. However, to choose which investment options will suit you, here are a few things you need to check. Creating a financial roadmap for yourself is the first step towards investing wisely. Take a good, hard look at your current financial situation and your future financial goals, short-term and long-term. Be sure to set realistic goals, over-expectation and under-expectation can both be harmful. A clear understanding of your personal financial goals can help you narrow down the best investment plans that are suitable for you. In case you are a first-time investor and don’t know where to start, you can always take the help of a financial advisor. However, do not be influenced by everything he says. Your individual perspective is going to shape your risk appetite and investment options, so thinking clearly and practically is important. 2. How much risk-taking are you comfortable with? Once you have decided on your financial horizons, you can see how much risk-taking is in your comfort zone. Some people have high-risk appetites, while others prefer conservative investment plans. True, the rate of return on investment will vary with your risk aptitude, but keeping your money safe is also important. The best investment plans are those that fit your bracket of moderate investment-moderate risk. However, no investment plans guarantee that you will always keep earning money. There are bound to be losses as well as gains. A good idea is to invest in different asset categories with a range of returns-on-risk, which will help you manage your funds wisely. 3. Which mix of investment plans can be right for you? Diversifying your portfolio by investing in multiple categories is one of the solutions to diluting investment risks. However, which mix of investment plans is right for you depends completely on your investment horizons and risk appetite. The advantage of investing in multiple asset categories is that you can balance out your income from these sources. Throughout financial history, it is seen that the principal investment categories – stocks, bonds, and cash – do not move up and down simultaneously. Diversifying your investment portfolio ensures that if the returns from one asset category fall, you can rely on better investment returns from other categories to counteract those losses. It is important to keep this in mind while choosing from the best investment options available to you. 4. Have you maintained an emergency fund? Ordinarily, it is better to create and maintain an emergency fund to tide you over times of sudden financial stress, such as losing your job, an unexpected illness, accidents, etc. The money you set aside every month in the bank for such events is your emergency fund. Before you make any other investments, evaluate the status of your emergency fund and the sum you have in hand. In case you don’t have an emergency fund at the moment, create one. Investing all your money is never a good idea. A general rule of thumb is that you need to have enough money set aside in the emergency fund to support you for at least six months from the time of the event. 5. Do you have a list of questions to ask your investment advisor? Last, but not least, studying investment plans on your own is very important. You can and should take the help of a financial advisor if you are new to the market, but due diligence is a must. Study the investment plans thoroughly and make a list of questions to ask your advisor pertaining to points you might not have understood. Once again, no investment plans are 100% risk-free, so you need to understand all the pros and cons completely before you invest your money. There is no hard and fast rule of thumb while choosing the best investment plans. Everything rides on your existing financial conditions, how well do you know the financial markets, what is your perspective towards taking risks, and how actively you intend to manage your investment. Considering all these factors, the choice of the best investment plan differs from person to person. One of the ways in which you can identify and shortlist the best options for yourself is by taking the help of a reliable financial advisor, who can give you a realistic view of your potential choices. Mutual funds have become one of the most popular investment options over the last decade because they combine the stability of fixed deposits with a high rate of return of stocks and direct shares. The growth of mutual funds is an indicator of the economic growth of the country and vice versa, which is encouraging for long-term investment. Another advantage is that a diversified portfolio helps dilute risk and offers greater choice for investment. Nevertheless, the choice of the best investment plan varies for every individual, depending on the temperament, expectations, and limitations of the person. Which investment option would you recommend? Drop a comment to let us know! 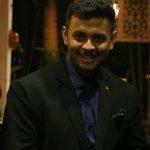 Nice article, thanks for sharing the different available options for investment in India. This will surely help new investors.